Cummins Power Generation is a world leader in the design and manufacture of power generation equipment, including PowerCommand standby and prime power systems. The power in your "home away from home" should be dependable. Cummins has set the standard for quiet, reliable and innovative RV power for over 80 years. Choose from a variety of diesel, gasoline and liquid propane generators and accessories. Technological advances, such as remote-start controls and installation-friendly automatic start systems, bring a new level of convenience and enjoyment to your travels. And all our generators and accessories are backed by a worldwide service network dedicated to enhancing your RV lifestyle. When reliability counts, insist on the real thing. 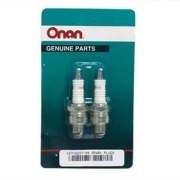 From filters to tune-up kits, Genuine Cummins Onan Green Label Parts are made to exact product specifications to maximize the power output and life of your Cummins RV generator.